I am a New England native, living on the South Shore of Massachusetts. I fell in love with Walt Disney World upon my first visit, at age 9. I am a Disney diehard, who loves planning Disney vacations. I pretty much live for all things Disney. 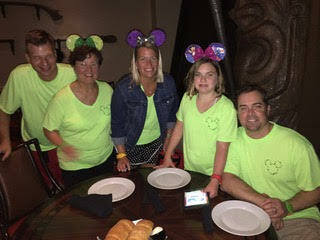 As the proud mother of a child on the Autism spectrum, if you are hesitant to go on a Disney vacation with a loved one with special needs, please let me put your mind at ease. Disney goes above and beyond to accommodate your needs so you can enjoy your vacation. I can help you plan for each step and bump along the way, so you can relax and enjoy being together as a family. 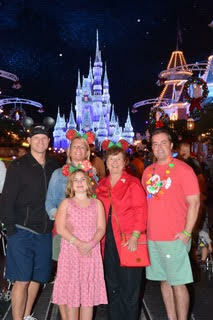 No matter what your vacation dreams are, I can help you plan a magical and memorable Disney vacation. I put as much time and effort into planning your Disney vacation, as I do my own. "​I have to put in a plug for Melissa. We are going down next month for Irish Dance nationals and Melissa has been a godsend. She knows how to get you the most for your money and is constantly going back in to revise reservations if something better comes along for us. My mom (who's coming with us) has also been impressed. She's friendly, organized, and will help streamline what could otherwise be a confusing process!" ~ Amy C.